Bermuda takes lead when it comes to regulations concerning cryptocurrencies, and is currently in the final steps of preparing an anti-money laundering law. 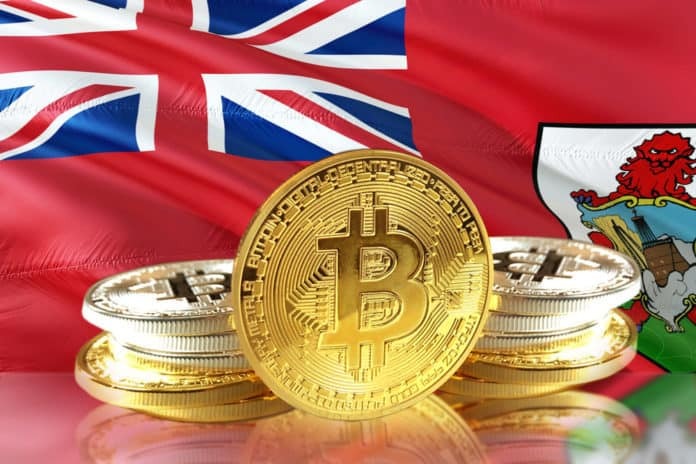 According to recent reports, British self-governing territory of Bermuda is adding the finishing touches of their newly developed cryptocurrency regulation plan. Not only that, but their BMA (Bermuda Monetary Authority) is currently asking their residents for the opinion regarding the proposed laws. All of this is done in the hope that the cryptocurrency industry can be tamed and organized in this little island nation. The Royal Gazette reported that Bermuda seeks to create and adopt a bill that will cover the majority, if not all of the activities revolving around cryptos and blockchain technology. Not only will this put a stop to illegal uses of the new trend, but it will also create a stable ecosystem that will enable cryptocurrency-related businesses to thrive on this country’s territory. This regulation will require all crypto-related branches of business to conduct a proper KYC operation. This includes fintech companies based on blockchains, wallet services, crypto exchanges, and any other firm that deals in cryptos in any way. That way, illegal activities will be a lot easier to put an end to, since bad actors will lose their anonymity, and be forced into the open. The government officials of this country were sure to point out that the new development aims to create a framework that can ensure stability when it comes to the crypto market. Security will also be increased, and in these conditions, it is expected that the blockchain world will be able to grow and develop properly. Wayne Caines, Minister of National Security of Bermuda, stated that there was a noticeable increase in the number of crypto investors in the country. With the rise in interest, it is only natural that the ecosystem would be regulated for everyone’s business to be protected. He also stated that the amount of people and companies willing to come to Bermuda is continuously growing and that they can barely keep up with the increased interest. Another part of the proposal also includes an attempt to implement a type of scheme that would allow Bermuda to create a license for any startup interested in working with cryptocurrencies. Once they obtain them, they would be allowed to function in Bermuda, as long as they follow the country’s law. Another part of the government’s plan when it comes to dealing with crypto is to create a decent environment for ICOs. Minister Caines had that covered as well and has proposed a new Bill that will see ICOs as business activities that will require Minister of Finance’s approval before becoming operational. This is a very different approach than that of many other countries that are trying their best to get rid of ICOs. Bermuda has a different view on the matter and believes that ICOs can help national development, as long as they are controlled. Bermuda’s interest in the crypto industry started a long time ago, and a special task force that was supposed to investigate the matter was finally set up in November 2017. If cryptocurrencies can be regulated in this country, it will mean another step to worldwide acceptence, and in the meanwhile, it will improve this Caribbean nation’s economy.